I think I have been slacking in my ‘no special occasion is complete without this traditional dish’ Jollof rice sharing duties. I mean, what’s up with having only one Jollof rice recipe on my blog? Any one who grew up in Africa would have at least three Jollof recipes (Mums, Grans and the favourite Aunty’s) up their sleeves. That does not even count your own version, your food obsessed sister’s versions and your quick weeknight Jollof. I really need to up my game. Which is why I jumped at the chance to whip up a Jollof rice recipe for #NationalRiceWeek. The fact that I get to eat it too, after photographing too, is an extra bonus. The campaign is all about inspiring people to break free of their mealtime ruts. They are really keen to get people to try new rice recipes, new rice varieties, dishes from a new cuisine and to try different styles of rice. 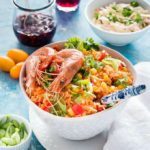 Perfect time to introduce you all to my sweetcorn Jollof rice, which is whipped up from freezer and pantry staples. The base of this dish is rice and tomatoes to which everyone adds in their own ‘authentic’ ingredients. In this version I have added in some sweetcorn kernels, which add a little bit more sweetness to the rice. 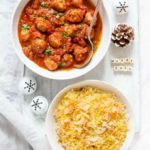 Basmati rice is my rice of choice when making this but you can try using a different rice to your taste. Easy serving suggestions include grilled fish or meats, coleslaw and some chilli sauce. I would love to see you try this and come back and let me know what you think. Ps did you know that – rice is the staple food for over half the world’s population and is a rich source of carbohydrates and is highly digestible? Added to this is the fact that it is gluten free, very low in fat, contains no transfats, saturated fats, sodium or cholesterol and provides a range of vitamins and minerals. 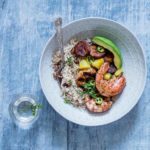 Do pop over to loverice.org to find out more about rice, recipe and check out some of their rice recipes. You can also follow the campaign on social media via the hashtag #NationalRiceWeek. 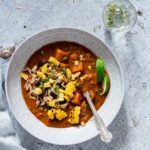 West African flavours – is the spot on my blog where I share both traditional Sierra Leonean recipes and West African fusion recipes. Thank you for supporting the brands that make it possible for me to continue cooking up great recipes for you. All opinions are my own. 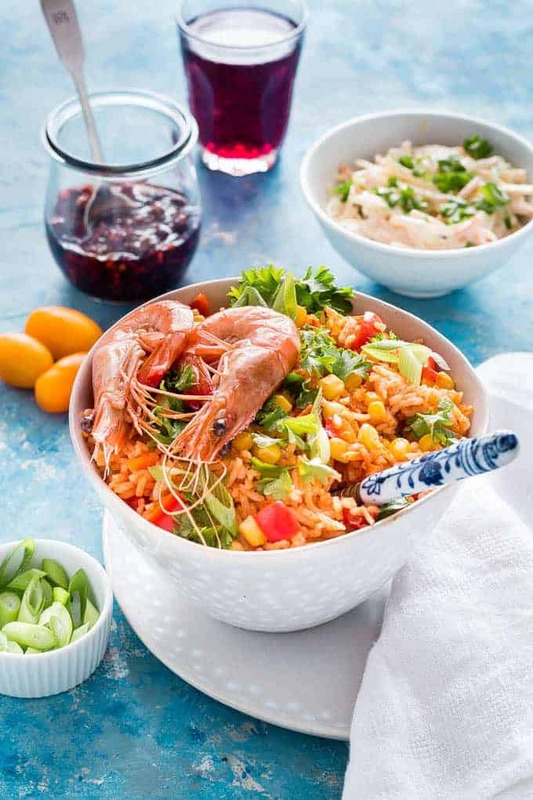 Don't forget to tag #recipesfromapantry on Instagram or Twitter if you try Sweetcorn Jollof Rice! It is really, really awesome for me when you make one of my recipes and I'd love to see it. You can also share it on my Facebook page. Please pin this recipe to Pinterest too! Thank you for reading Recipes from a Pantry. 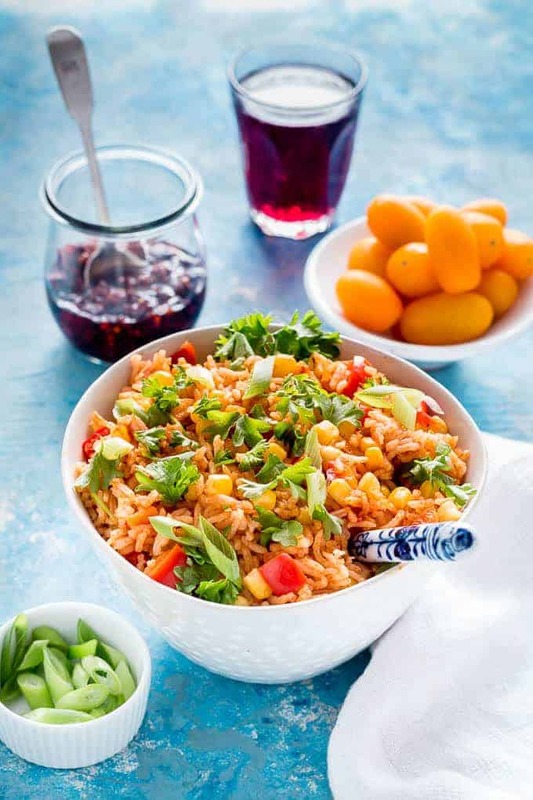 Make this simple Jollof rice to jazz up your mealtimes. Heat the oil in non-stick pan and add in onion, peppers and 3 tbsp of water, stir and fry for about 5 mins. Add in tomato puree and fry for about 30 secs. Then add in rice and stir constantly until rice is coated with tomato puree. Transfer the rice mixture in to a rice cooker, add in vegetable stock , mix well, season with salt and cook according to your rice cookers instructions. mins before your rice finishes, add in the sweetcorn (but do not mix) and then cover and continue cooking till done. Serve with some roast sweet potato, grilled fish or meat and chilli sauce to your taste. Agree ! Every African food blogger need to have at least three Jollof rice recipe on their blog. It’s just a popular African recipe and people never get tired of making it. What have you been waiting for? This looks AH-mazing!!! I love rice! Your recipe is very similar to what I use to stuff pepper, only I add ground beef, too. Lovely! Ooo, jollof stuffed pepper is gooing on my list. Wow! This is so colorful and delicious looking! I’m pinning this too, can’t wait to try it! Thanks for posting! This is a great read. I started to laugh about having all those recipes up your sleeve. This sounds delicious. I expected it to be spicy, but it isn’t. I really like this recipe. Thanks for sharing! 🙂 Yeah, I dont know why it took so long. This dish looks delicious and I love how easy and with simple pantry staples. I must try this soon. Perfect side dish for so many main courses. Such a lovely rice dish – and I love that everyone has some family recipes for it. Didn’t know about Jollof rice before.., but the recipe is very similar to Indian fried rice. Love your presentation. Very colorful. I need to try your version. This looks fantastic..but I’m a newbie to Jollof rice? Please explain 🙂 because I’m such a rice addict!! I didn’t know there was a national rice week 🙂 This looks super delicious. I know right – anythign to get ppl cooking more rice is a fab idea. I think I’ve just about mastered my MIL’s jollof rice recipe. Love the twist with adding the sweet corn, yum! I love learning new rice recipes. Thanks for sharing! Maybe I’m missing this in the recipe, but how much sweet corn do I add? And are you using fresh corn or canned corn? Thanks!